Shakeology is the ideal meal or snack replacement. One 40-gram shake contains just one hundred and forty calories, 0.5grams of fat, 19 grams of carbohydrates, 11 grams of sugar, 16 grams of protein and no saturated fat. When you examine the Shakeology ingredients list it becomes clear the nutrient-rich meal replacement contains quality carbohydrates derived from vegetables and superfood fruits. The protein rich shake contains natural sugar derived from fruits. The powerful superfood formula contains no high fructose corn syrup or refined sugar. Chlorella is a type of single-cell green algae. Chlorella lowers blood pressure and cholesterol levels, aids the detoxification process, prevents heart disease and supports hormonal function. Spirulina is a blue/green algae found in oceans and lakes. The micro-algae offer protection against disease and cancer. The nutritious food source nourishes skin to protect it from aging. Hydrilla is an aquatic plant also known as water thyme. The fresh-water plant promotes positive mood and supports energy levels. Hydrilla supports weight loss and boosts the immune system. Blue Green Algae are small unicellular bacteria. The plant-like organisms support weight loss, prevent heart disease, aid stress and depression, improve digestive health, promote bowel health, improve the memory, heal wounds, better energy levels and lower cholesterol levels. Spinach Powder is an antioxidant rich vegetable that promotes heart health. Spinach powder supports age-related macular degeneration, promotes the immune system and aids the nervous system. Barley Grass is a major cereal grain. The enzyme-rich grass strengthens the immune system, contributes to bone metabolism, supports agility, regenerates damaged tissues and cells, cleanses and detoxifies the body, helps to fight addiction and provides relief from ulcerative colitis. Kamut Grass is a sweet, nutty grain. The antioxidant rich grass detoxifies the body, helps to normalize blood sugar levels, rebuilds tissue, promotes weight loss, supports healthy skin, promotes beneficial gut flora and alkalises and oxygenates the blood. Oat Grass is a perennial grass otherwise known as button-grass. The powerhouse grass also offers weight loss support. Oat grass supports heart health and aids a healthy digestion. Acerola Powder is derived from the Acerola cherry. The antioxidant rich powder helps to fight disease, infection and inflammation. The Acerola cherry powder promotes dental health, prevents hair loss, and fights chronic fatigue, increases iron absorption, regulates blood pressure, promotes the healing of burns and wounds and aids collagen formation. Acerola powder also helps people to lose weight. Pomegranate Powder is made from the dried seeds of the pomegranate fruit. Powdered pomegranate promotes heart health, supports the digestion, aids fat burning and lowers high cholesterol. Bilberry Powder is made from the dried fruit of the Bilberry shrub. Powdered Bilberry benefits heart health, improves night vision,improves blood circulation, maintains healthy tissue and prevents inflammation. BlueBerry Powder is made from dried blueberries. Powdered blueberry boosts gut bacteria, lower cholesterol levels, promotes a healthy heart, improves blood sugar levels and aids loss of weight. Lycium (the Goji berry) is a flowering plant belonging to the Nightshade family. The antioxidant rich superfruit slows the aging process; promotes heart health and combats disease. The lyceum fruit also promotes healthy skin, treats pain, aids longevity and boosts the immune system. Lycium is also thought to increase the metabolism to encourage weight reduction. Acai Powder is derived from the Acai berry. Powdered Acai berry promotes fat loss, aids heart health, supports digestive health, improves cellular health, boosts sexual energy, improves mental function, boosts general energy and reduces irritation. Maitake Powder is a dried mushroom powder. The mushroom powder aids chronic fatigue, lowers cholesterol levels, aids a healthy liver and encourages loss of weight. Citrus Bioflavonoids are found in citrus fruits. The bioflavonoids increase brain power, reduce inflammation, improve blood circulation and lower cholesterol levels. Rose Hips Powder is commonly used to treat the symptoms of osteoarthritis. Powdered rosehip supports a healthy heart and lowers cholesterol levels. A daily dose of rose hip powder may lower blood pressure and helps people to shed unwanted fat. Banana Powder is made from freeze-dried bananas. High-fiber powdered banana supports a healthy digestion. Powdered banana is also included in many replacement meal shakes as a natural flavor agent. Carrot Powder is made from freeze-dried carrots. The superfood promotes healthy eyesight, maintains healthy cholesterol levels, aids liver function, cleanses the intestines and purifies the blood. Orange Powder supports respiratory function and cleanses the lungs. Orange peel powder is also regarded as a fat burner. Pineapple Powder promotes healthy skin. Powdered pineapple has anti-inflammatory properties, it also aids the digestion. Pineapple powder is considered an effective fat burning aid. Raspberry Powder is believed to have anti-cancer properties. Powdered raspberry supports the cardiovascular system and promotes eye health. Raspberries are considered to have anti-inflammatory properties. Raspberry powder suppresses the appetite. Strawberry Powder has numerous health benefits. Powdered strawberry boosts the short term memory, helps burn stored fat, supports a healthy heart and eases inflammation. Maca Powder comes from a plant root. Powdered Maca root promotes energy, mood and general health. Maca powder is good for the skin, it also promotes sexual function. Astragalus Root Powder supports heart health, aids the respiratory system, stimulates blood circulation, aids nervous conditions, lowers high blood pressure and promotes a healthy bladder. Ashwagandha Powder is derived from the root of the Ashwagandha shrub. The powder is thought to have anti-cancer and weight loss properties. Powdered Ashwagandha has antibacterial properties; it also stimulates the immune system and combats hypertension. Cordyceps is a type of fungi. Cordyceps aids the respiratory system, keeps the heart healthy, aids sexual health, strengthens the immune system, promotes longer life, reduces fatigue, promotes weight loss and helps to build muscle. Reishi Powder is made from powdered mushroom. Powdered Reishi promotes a healthy heart, combats viral infections, supports HIV, aids high blood pressure and supports the respiratory system. Reishi powder has weight loss benefits. Schisandra Berry Powder aids the nervous system, promotes healthy skin, increases sexual energy, improves mental function, combats insomnia, promotes a healthy bowel and protects the liver. Schisandra powder is known to have anti-aging properties. Suma Root Powder promotes hormonal balance, improves the immunity and increases self-healing abilities. Suma root powder promotes fat loss and helps to build muscle. Ginko Powder is derived from an herb. Powdered Ginko increases the blood flow to the brain, has anti-inflammatory properties, aids impotency, promotes mental function and aids depression. Probiotics are yeasts and live bacteria that support good health. 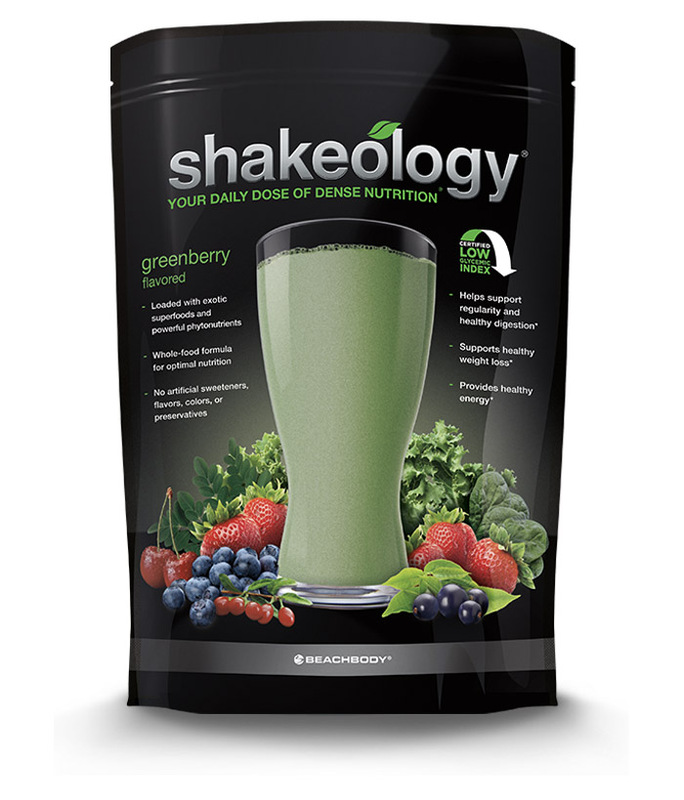 Study the ingredients in Shakeology and you see that this superfood drink contains more probiotics than its competitors. The probiotic is a friendly bacterium that restores the balance of gut bacteria. The enzymes listed above are essential for general well-being. A Shakeology shake contains many important enzymes in very appropriate potencies. Green Tea, Grape Seed Extract, Amaranth , Quinoa, Pea Fiber, MSM, Apple Fiber Powder, Chia Seed, Flax Seed, Sacha Inchi Meal. The combination of superfood seeds, organic compounds and fibers make this an extraordinary meal replacement drink. Does this product contain Whey? Hello, is it strictly whey protein isolate? I’ve seen alot of shakes with a blend. It can only be whey protein isolate. Hi Jeanette, Normal Shakeology does contain whey, however the good news is that vegan Shakeology does not! ts horrible for women like me: Long story short. every month I had the worst PMS Mood swings, period cramps. Like I am dying on the floor seriously thought I had a miscarriage or something! I also gained 20lbs in 6 months. I only wanted a breakfast replacement and a way to workout indoors. I never needed to lose weight. I weighed 125 and gained like 10lbs in like 2 months. When I talked to my “coach” she said that I was not committed enough, exercising and eating properly. she totally shifted the blame on to me. When I had never had problems gaining weight since I learned to eat clean 5 years ago. it’s pretty messed up bc they get inside your head and try to tell you you’re not athletic or eat well enough. it didn’t work on me because I was already active and athletic and a super clean eater! Who ever is selling this CRAP either A. doesn’t give ahoot about people , or B. is completely blind. Although there are not ENOUGH bad reviews for this product and I can see why people MAY get confused and think its ok to sell. You all have been warned. Thanks for posting! I feel like i DESTROYED years worth of fitness to my body. It is no ones fault but mine. feel free to ask for more details. My ladies cycle is back to normal like magically instantly! Please state what product, type, you were taking. I was ready to order a product until I read your comment. How long can you keep shakeology , expiration date?